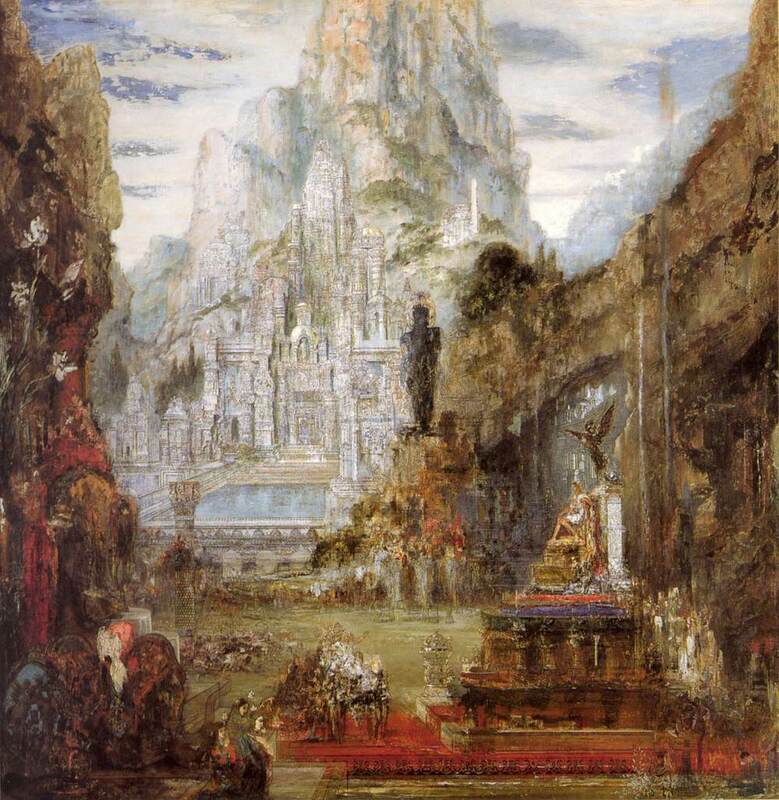 In the last thirteen articles I have tried to give an account of the life and work of Gustave Moreau (1826–1898). 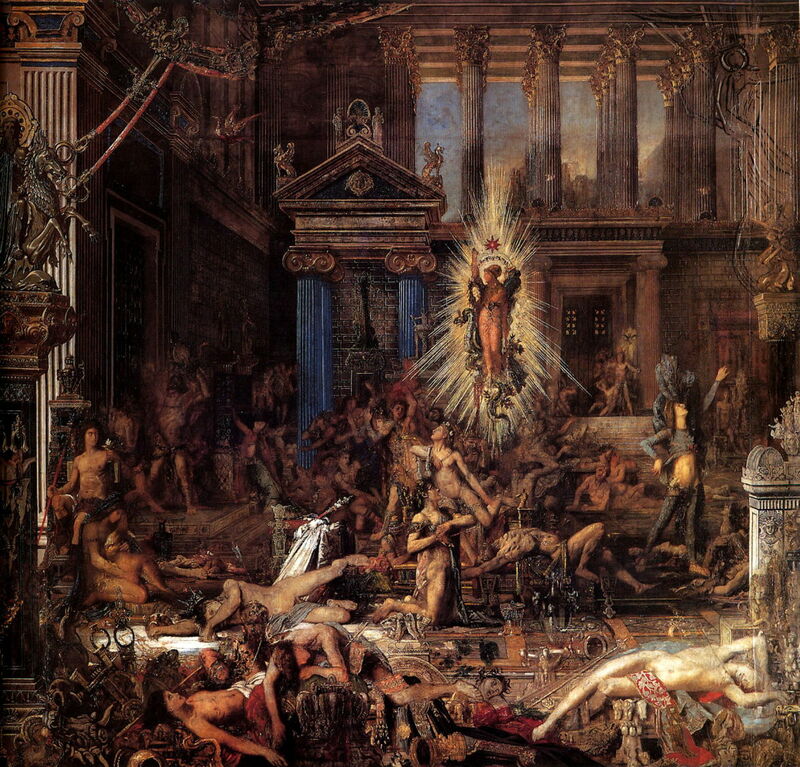 Early in his career, Moreau made a conscious decision to be a history painter, and to change the nature of history painting by making it less theatrical. 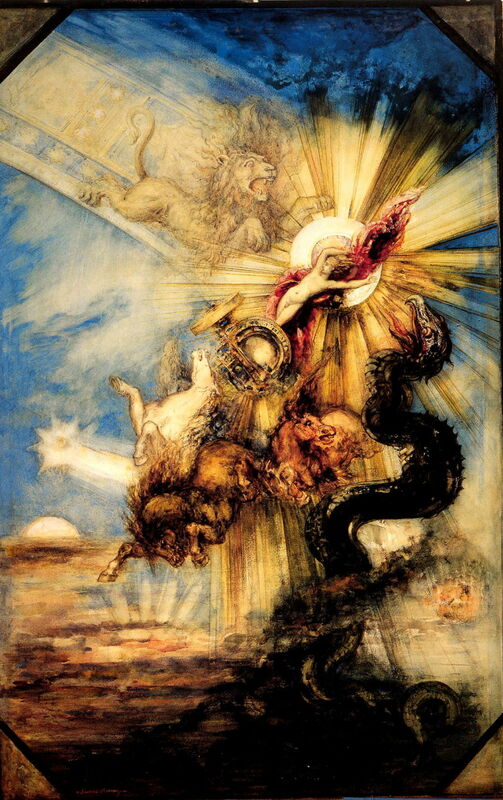 Although he created many wonderful paintings, I think that it is fair to say that they are richer in symbols than in story. 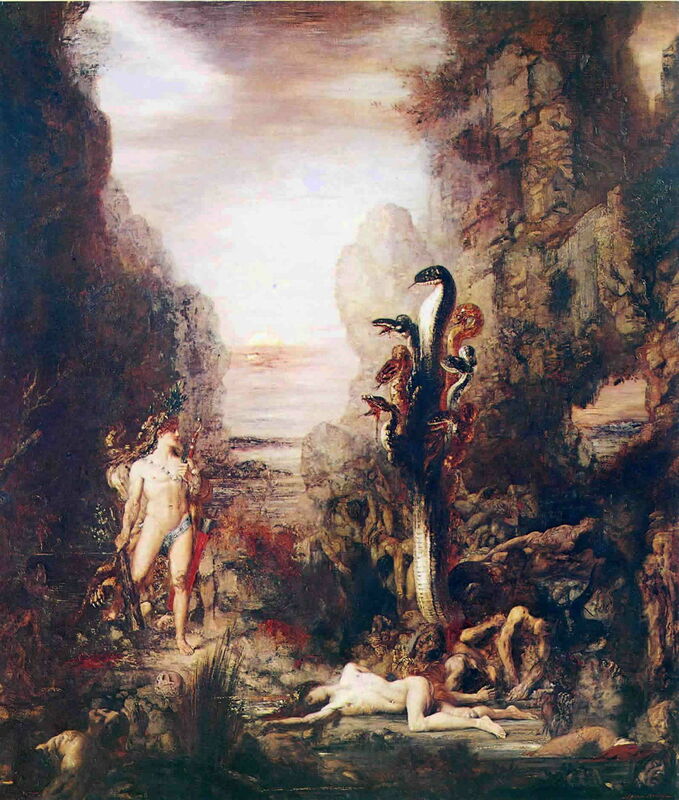 There is also considerable evidence that he influenced painting in the latter half of the nineteenth century, and well into the twentieth, but that was not because he had caused any general change in the painting of narrative. 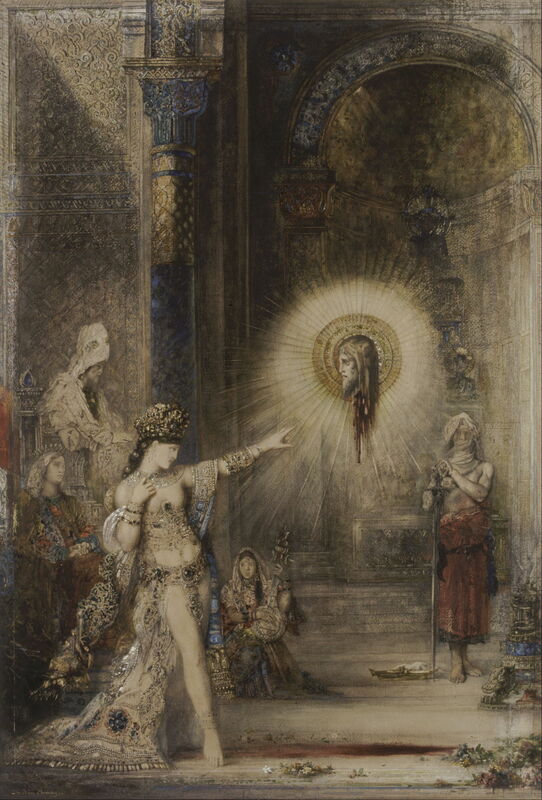 Looking back now, I think that his paintings prepared the way for two significant events in the history of art: symbolism, as seen in Odilon Redon and others, and the adoption of Salome as a femme fatale rather than a secondary character in the story of Herod, Herodias, and John the Baptist. 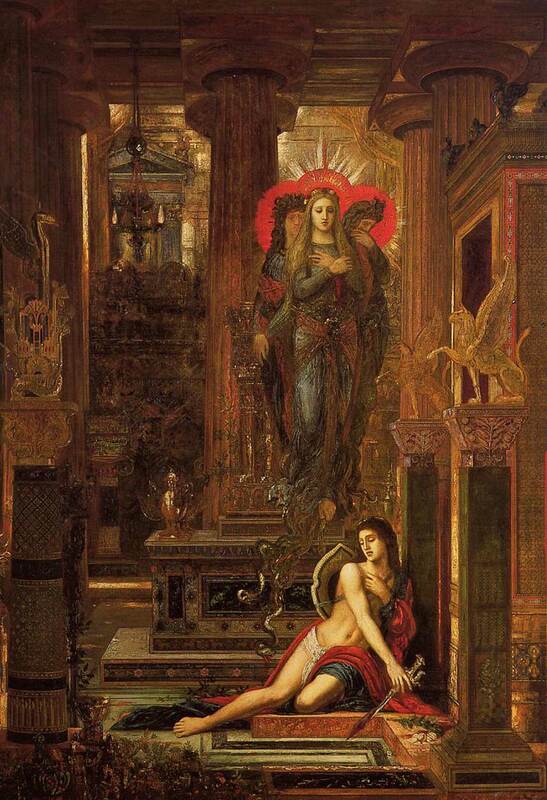 Although the latter may not seem that significant, it is an almost unique example of visual art changing verbal narrative, and brought about an important cultural phenomenon. 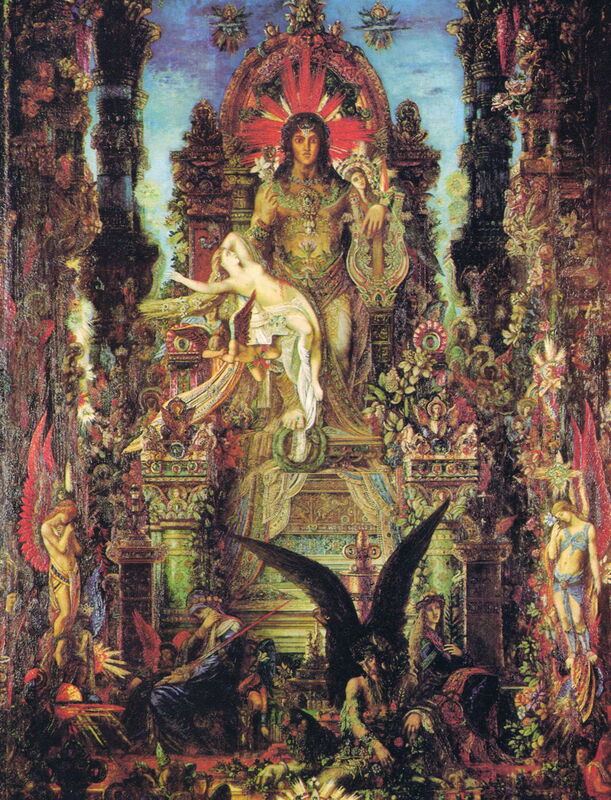 There can be no doubt that Moreau’s paintings were important, as well as many being wonderful works of art in their own right. Here, then, is an index to the previous articles in this series, together with what I think are his most important and wonderful paintings. 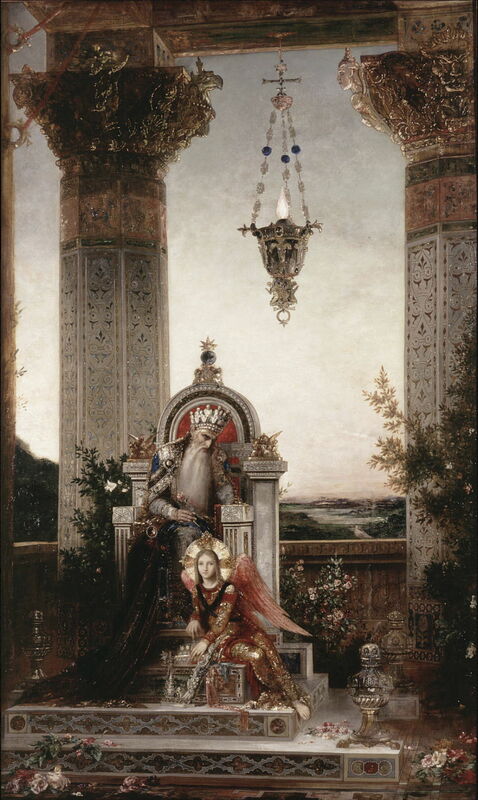 1 Gathering storm covers the start of his career, showing works between 1852-1860. 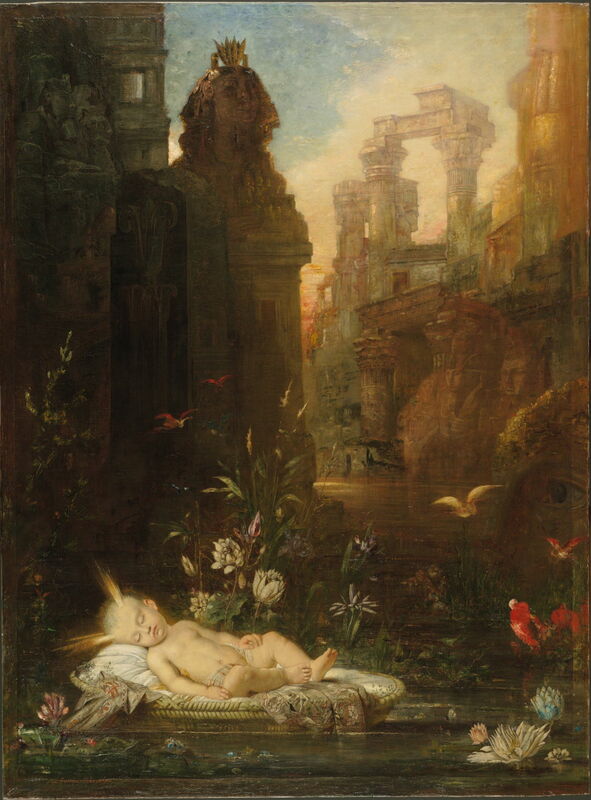 2 Distant rumbles covers three unfinished paintings – The Suitors, The Daughters of Thespius, and Tyrtaeus Singing during the Combat – which he started in 1852-60, but remain unfinished. 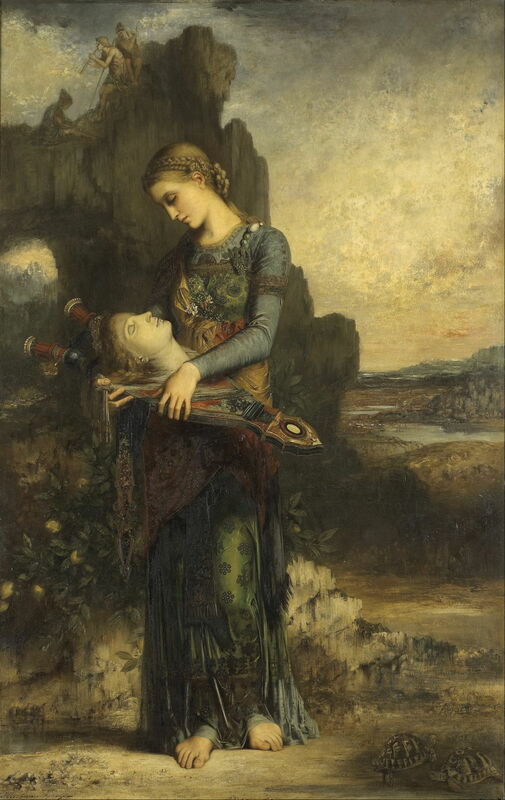 3 The thunderclap shows the paintings which he exhibited in the Salons of 1864-65, including his first great success, Oedipus and the Sphinx. 4 After the storm considers his unsuccessful attempts to build on the Salon of 1866. 5 Before the war looks at his paintings in the period 1867-71, immediately before and during the Franco-Prussian War and Paris Commune. 6 Back in favour covers the post-war years to 1876, when he had greater success again. 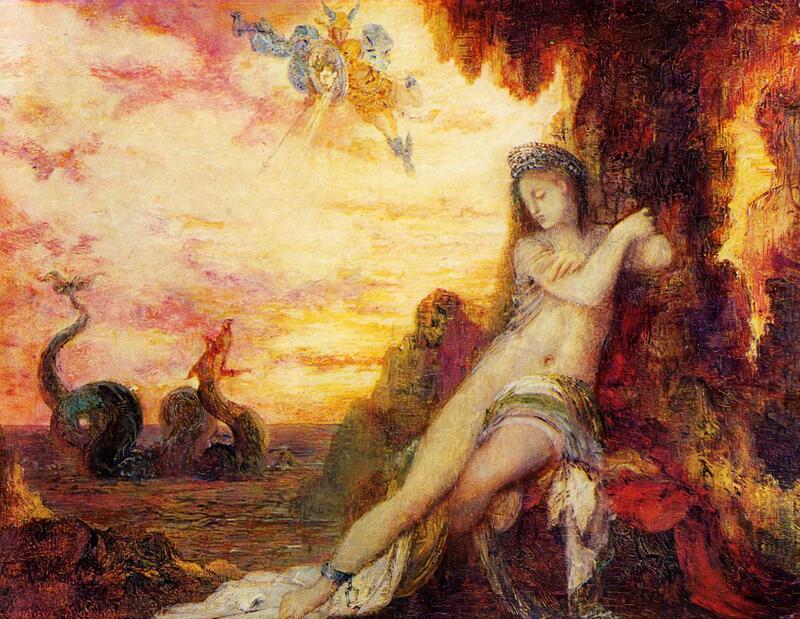 Gustave Moreau (1826–1898), Sappho (1871-72), watercolour on paper, 18.4 x 12.4 cm, Victoria and Albert Museum (Given by Canon Gray in memory of André S. Raffalovich), London. 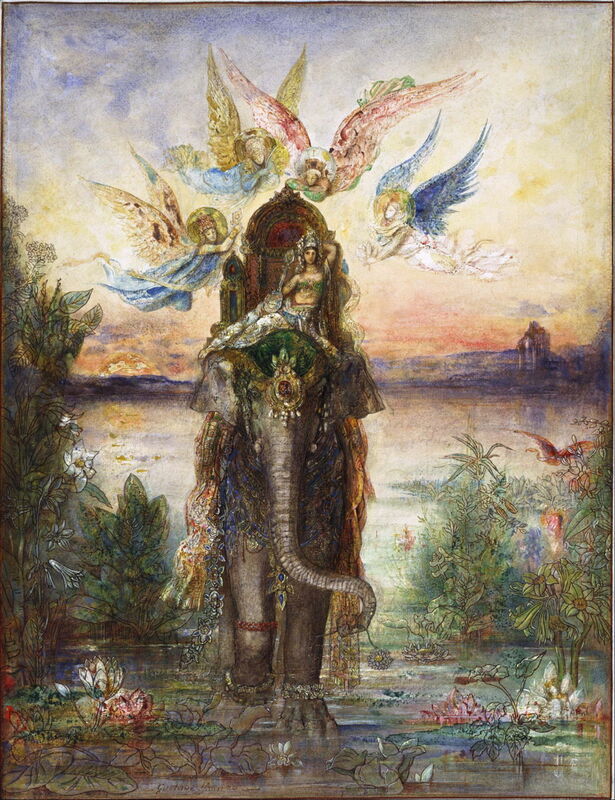 Image courtesy of and © Victoria and Albert Museum, London. 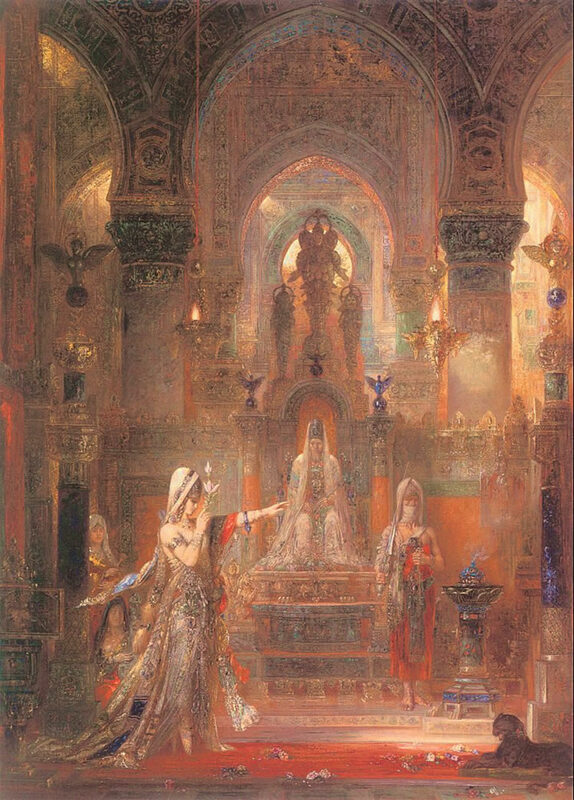 7 Salome’s success looks at two of his most successful paintings, both showing Salome, for the Salon of 1876. 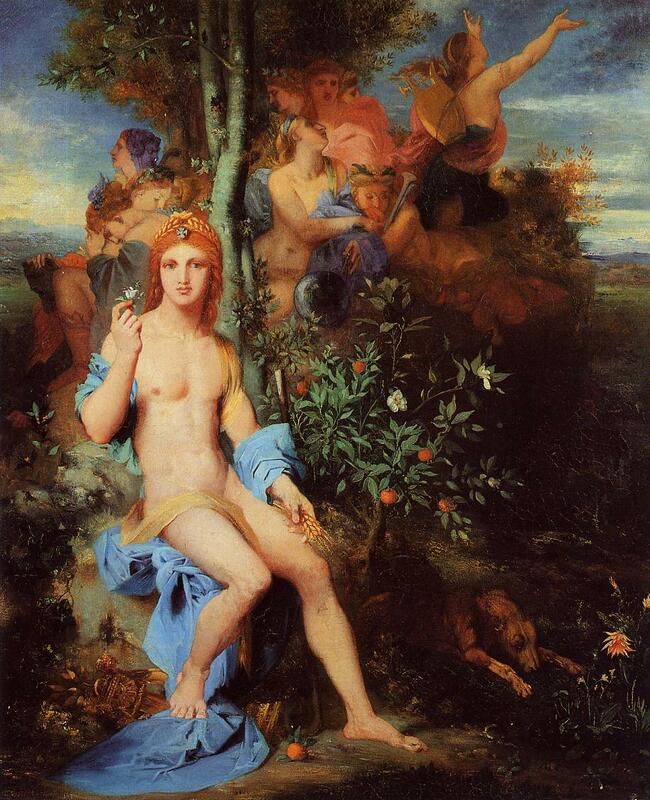 8 Into the sky covers paintings which he made for the Exposition Universelle of 1878 in Paris. 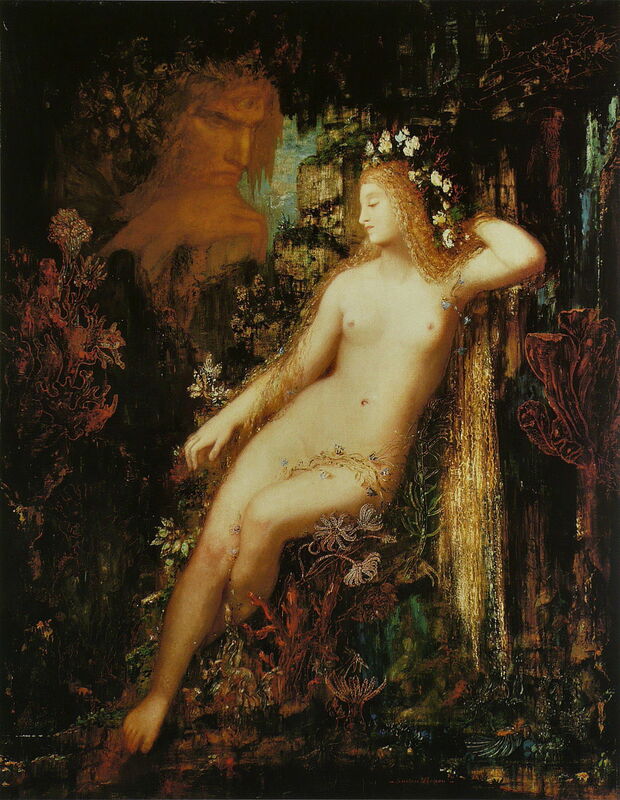 9 The final Salon shows the works that he intended for the last Salon in which he exhibited, in 1880. 10 Grief and recovery looks at his work in the period 1884-86, following the death of his mother. 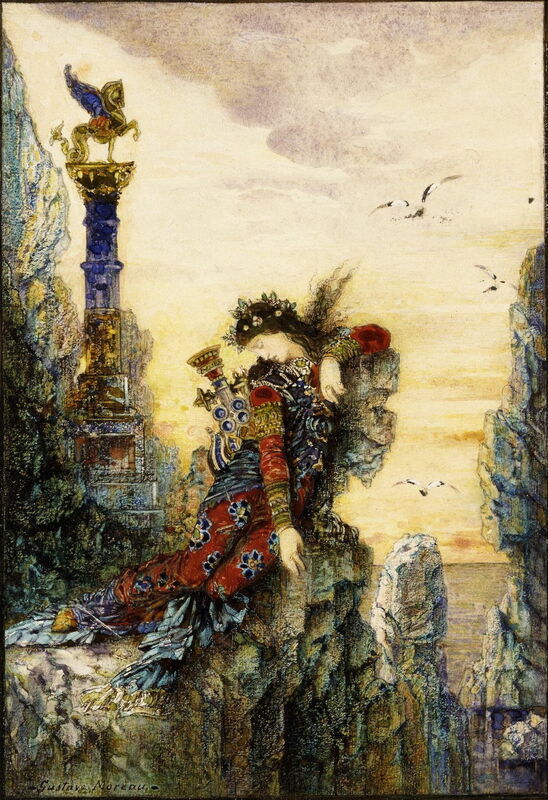 11 Mythical animals and cities covers the period 1887-90, when he was becoming more engaged with the world again. 12 For the museum looks at the works of his final years from 1890 to 1896, when he was teaching actively and preparing his work for his museum. 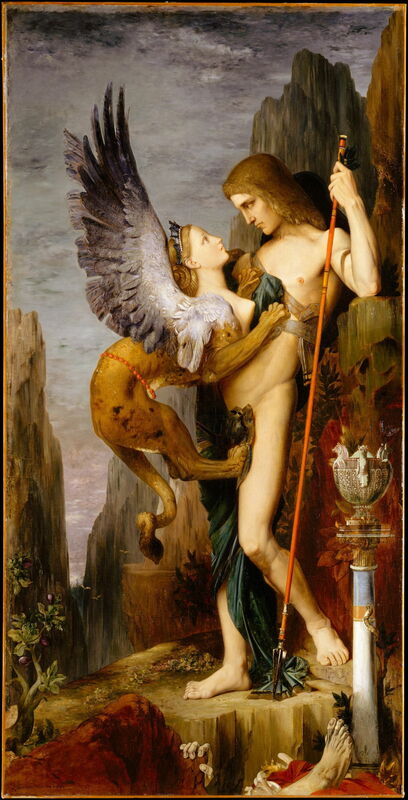 13 Jupiter and Semele considers what was probably his last great painting from 1895.